Oh my gosh I am sorry. I feel like I am always apologizing lately for not writing on here, and I am sorry. I will try to get better. Seriously! But it's summer and too H O T to do anything. we've been eating tons of burgers and grilled cheeses. 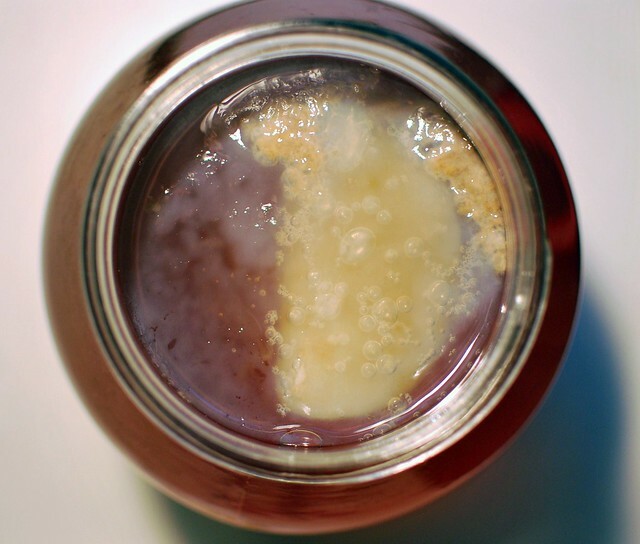 Do you know about kombucha? 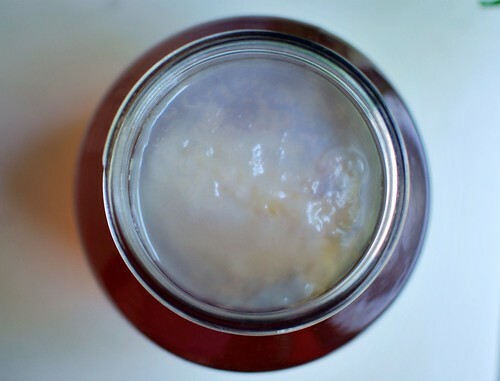 It's this weird, slightly fermented drink made from tea + weird bacteria. It might be really good for you, or it might not. Recently Whole Foods pulled it all off the shelf, because some of the bottles were testing much higher for alcoholic content than the labels said. Alex is a huge drinker of kombucha and has been terribly upset that he can't get it. I did some internet research (I love you, internet) and decided it seemed like something I could do. I ordered a 'mushroom' off of eBay (see above picture- the solid part is the mushroom and the more transparent part is the new growth!). It came quickly, I followed the directions, and ten days later, perfect, delicious tea. It doesn't taste much like the bottled kind, which I find too harsh and overly carbonated. 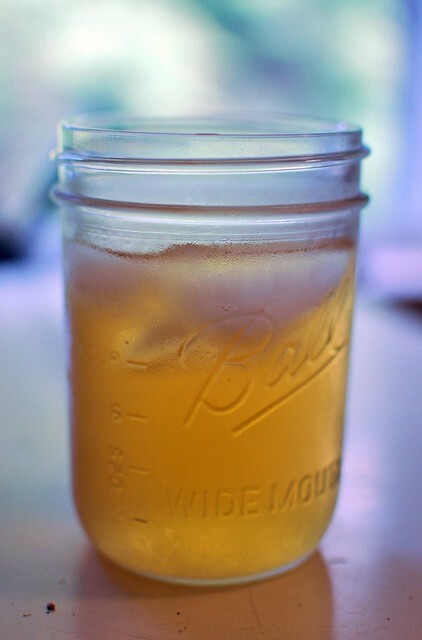 My kombucha, which I brewed with plain black tea, is a little sweet, very light, and almost like a hard cider. It's very refreshing, and requires very minimal effort. Boil your water, turn off the heat and add the tea bags and sugar. Let steep as long as you'd like, then let the tea come to room temperature. If you add your mushroom to the hot tea it will kill it! So be patient. Stir in the vinegar (to help balance the pH, you won't have to do this ever again), then pour your tea into the glass jug. Plop in the mushroom, cover with a paper towel or clean dish cloth, and rubber band over the top so no bugs get in. Place somewhere out of the way where it will be ferment at room temperature, and come back and taste a little in 7 days. If it's too sweet, never fear - just let it keep going for a few more days. The mushroom feeds off the sugar. Once your first tea is finished (we gave ours 10 days), pour off most of the tea and leave 2 c of tea along with the mushroom. 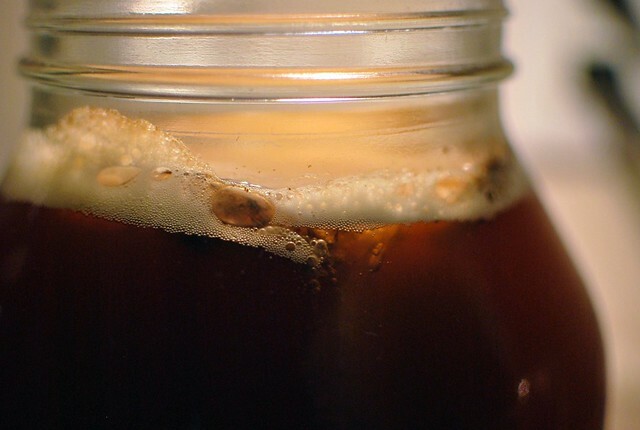 If you're not ready to make your next batch, stick your mushroom in the old tea in the fridge until you're ready. When you are, repeat the process, just without the vinegar. You can go on forever. I will keep you posted about interesting things that happen or that I discover. If your kombucha is not fermented enough, my instructions say you can store it in capped bottles for up to 3 days and it will further ferment. I'm SO glad you posted this! It doesn't look scary or hard at all. We love kombucha! I've been making it for about 15 years. The recipe I was given, and have used successfully all that time, is 5 tea bags, (black tea, green, or a mix of both) 1 cup sugar, and no vinegar to a gallon of water. Try it sometime and see what you think. It's great in the summer. I have a "Kombucha cupboard" in the kitchen where I always have several jars brewing at once. Stay cool! 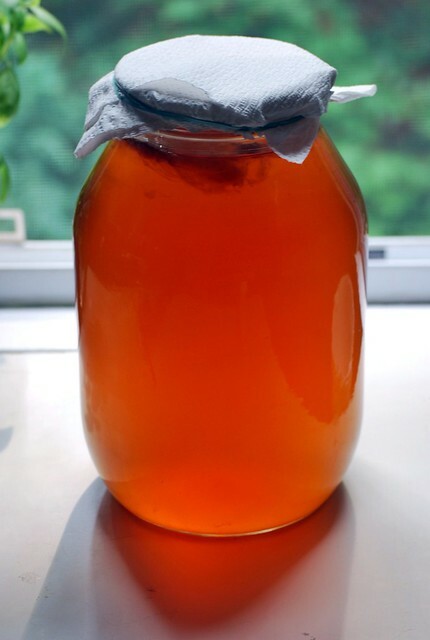 I've thought about making kombucha, but was always afraid I'd mess it up and get sick or something! But now that Whole Foods and other stores have pulled it, I'm feeling like I just might have to! I love it. You make it seem easy - which makes me think I can do it!